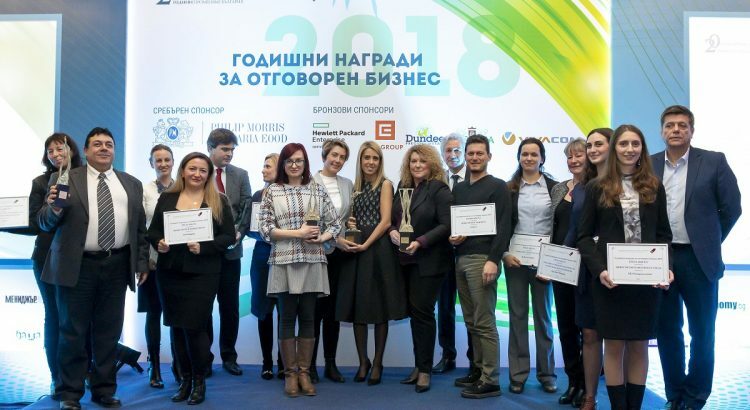 SAP Bulgaria, HPE Bulgaria, TechnoLogica, VMware, Telenor Bulgaria, TELUS International Europe, CEZ, Dundee Precious Metals were acknowledged for their efforts to improve the society in Bulgaria at the 16th Responsible Business Awards, organized by the Bulgarian Business Leaders’ Forum on February 26th, 2019. A total of 111 corporate social good projects carried out by 73 companies, a record high number, competed in this country’s most established and prestigious CSR and sustainability contest. The event gathered over 200 guests: senior executives of BBLF member companies, companies that had entered this year’s competition, jury members, NGOs and the media. The awards were handed out by Biser Petkov, Minister of Labour and Social Policy, Neno Dimov, Minister of Environment and Water, Aleksander Manolev, Deputy Minister of Economy, Denitsa Sacheva, Deputy Minister of Education and Science, Yordanka Fandakova, Mayor of Sofia, and Lynne Charles, Deputy Head of the British Embassy. The Annual Responsible Business Awards aim to encourage and promote the private sector’s excellence and good practice in support of the environment, human capital, education, regional development and the community at large. The Awards seek to recognize the most successful and impactful CSR projects providing a representative overview of local companies’ responsibility and sustainability efforts. Attendees were able to see short resumes of all nominations in the six categories and were among the first ones to find out which of them were ranked first, second and third. Finalists were determined by an independent jury of renowned members of the business community, the government and non-government sector, academia and the media. 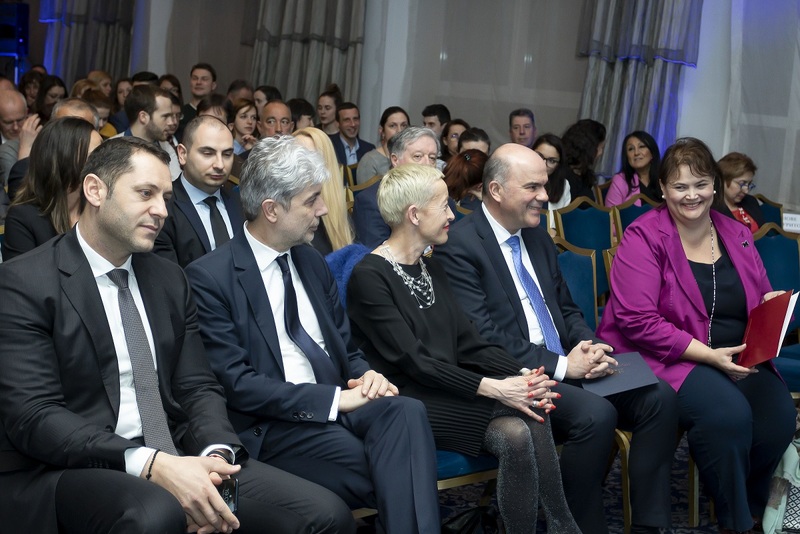 The British Embassy in Sofia selects one of all entries that gets the special Engage Award in recognition of employees’ commitment to social good. The ceremony got media coverage by the likes of Bloomberg TV Bulgaria, Еconomy.bg, Bulgarian National TV, BTA, Manager News, your Business e-zine an many more.